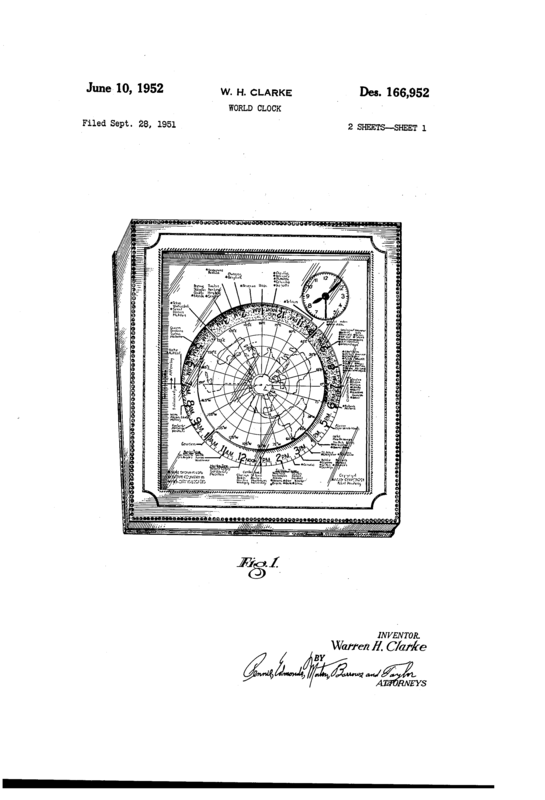 From the 1950s, this clock designed by Warren Clarke was awarded a US Patent. It was manufactured by the Kalex Corporation. 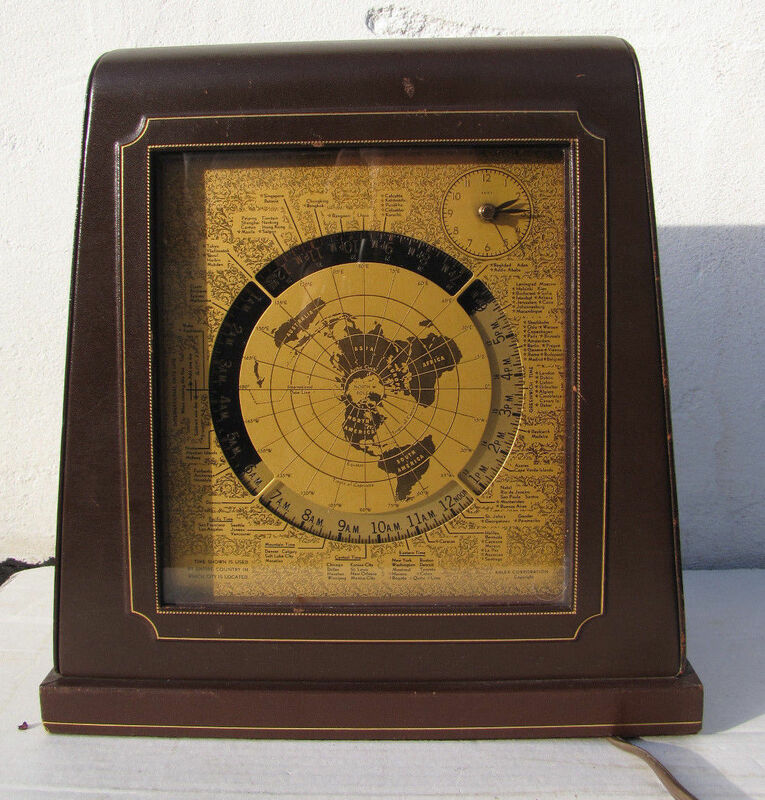 anyone know the value of kalex world clock 1950?